The Chicago Hunter Derby draws top horses and riders from around the country such as Jennifer Alfano and Jersey Boy, three-time winner of the Chicago Hunter Derby and winner of the 2012 USHJA International Hunter Derby Finals. Photo: Chicago Equestrian. Antioch, IL – May 20, 2014 – The Chicago Hunter Derby presented by Chicago Equestrians for a Cause is pleased to announce the judges panel for this year’s derby to be held September 5 -7th, 2014 at the beautiful Annali-Brookwood Farm in Antioch, IL. The prestigious derby is now in its sixth year of producing one of the best stand-alone derby events in the country while raising money for local charities. The event features a $50,000 USHJA International Hunter Derby sponsored by Canadian Pacific and a $5,000 USHJA National Hunter Derby. This year the proceeds from the event will benefit three charities; Ann & Robert H. Lurie Children’s Hospital of Chicago, the University of Chicago Cancer Research Foundation and The United States Hunter Jumper Association Foundation. In 2013, The Chicago Hunter Derby raised $150,000 for its charities and has contributed over $400,000 to local charities since its inception. The Chicago Hunter Derby is pleased to have four excellent horsemen, Jeff Wirthman, Julie Winkel, Ken Smith and Holly Orlando as this year’s distinguished panel of judges. Jeff Wirthman of Wellington, FL, is a USEF “R” Judge who has judged almost every major horse show and medal finals in the country. He has trained many top riders and collected numerous Horse of the Year awards for the quality horses he produces. “The Chicago Hunter Derby is one of the premier stand alone derbies and I’m really looking forward to judging it,” said Wirthman. The hunter derbies are now offering more prize money for hunters and creating events with larger numbers of spectators. The USHJA now offers a $100,000 Derby Finals plus bonus money and the HITS series offers a $500,000 and $250,000 Derby Finals. Wirthman continued, “These stand-alone derbies are doing just what they are supposed to be doing – bringing up the industry with more prize money and horses that are able to just go in the ring and get a score of 90 without showing in a division. The derbies attract riders that know their horses well and are confident they will just jump around a difficult course." Julie Winkel of Reno, NV, is one of the first USHJA Certified Trainers, an Emerging Athlete Talent Scout, an USEF “R” judge and a CEF judge. She has been judging since 1984 and her resume includes judging top competitions such as Devon, The Pennsylvania National, The Washington International, The National Horse Show, Capital Challenge, and the 2011 International Hunter Derby Finals. Winkel has designed courses and judged the New England Equitation Finals, the ASPCA Maclay Finals, and the USEF Medal Finals in 2010 with George Morris. 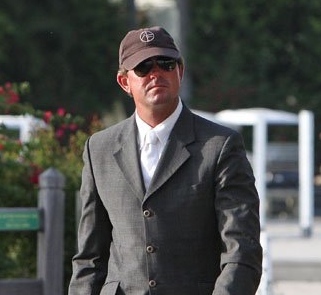 Winkel is also very involved in committee work for the USEF and USHJA. She owns and operates Maplewood Stables, Inc. in Reno, NV, gives clinics throughout the country and writes a monthly column for PRACTICAL HORSEMAN. The Chicago Hunter Derby is one of the most beautiful and elaborate courses built for a hunter derby. The advantage of a stand alone competition is the course doesn’t have to be adjusted for different levels of horses and riders and it doesn’t have to be designed to accommodate multiple classes. The jumps can be more permanent and elaborate since more time can be put into building the course. Bobby Murphy of Lexington, KY, will design the course again this year. Last year, Murphy designed the course with the legendary George H. Morris and displayed a very traditional theme of a fox hunt. Murphy knows the Chicago Hunter Derby field well and makes use of the sloping hill and the woods in his design. The courses are always elaborate and beautifully decorated, adding to the country feel of the event. This year Murphy is thinking of the 'Year of the Horse' as the theme. Another very distinguished rider and trainer judging this year’s competition is Ken Smith.Smith and his wife, Emily, own and operate Ashland Farms in Wellington, FL. They have trained and shown to numerous championships at shows such as Devon, Capital Challenge, Pennsylvania National, Washington International, the National Horse Show and the FTI Winter Equestrian Festival. They have also had several top ten placings in the USEF Medal Finals and the ASPCA Maclay Finals as well as the USEF Show Jumping Talent Search Finals. They also trained the Gold-medal winner at the 2009 North American Junior and Young Riders Championships. Smith is also a USEF “R” rated judge and has judged several equitation regionals as well as top shows around the country. Holly Orlando aboard Quotable. Anne Gittins Photography. Holly Orlando of Wellington, FL, is a well renowned rider with numerous Championships in the hunter ring as well as the grand prix ring. Orlando can usually be found aboard some of the country’s top horses at the biggest horse shows in the country. Orlando competed in the Chicago Hunter Derby in 2012, giving her firsthand experience on how the field rides for the horses. This year, she will be returning to the derby to judge the top horses from around the country as they compete for the $50,000 in prize money. 2014 promises to continue the tradition of the Chicago Hunter Derby with VIP seating and a stylish Sunday brunch including children’s activities sponsored by Rice Dairy, shopping, a silent auction and a Calcutta. Saturday will feature the National Hunter Derby and the first round of the International Hunter Derby followed by the more casual “Derby After Dark” party thanks to generous donations from sponsors. Tickets to attend and prize list will be available soon. For sponsor information please contact Sterling@michelledurpettievents.com or visit the website atwww.Chicagoequestriansforacause.com. Photos by ChicagoEquestrian and may only be used in relation to this release.